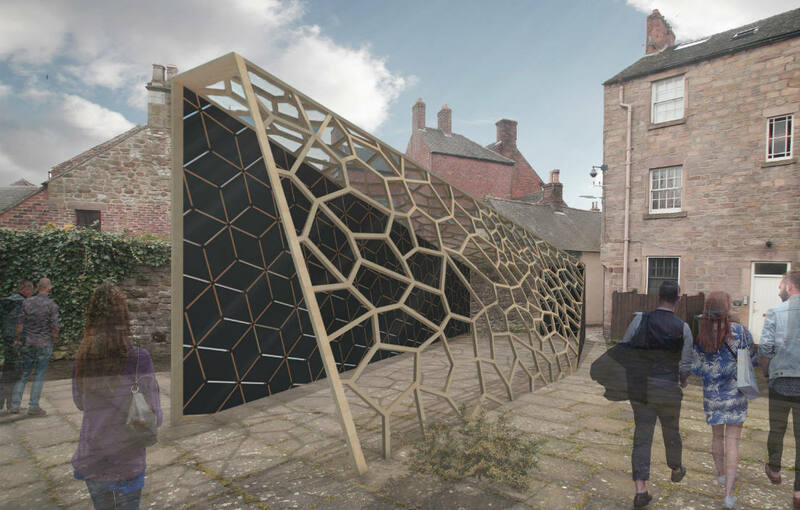 This year’s Art & Architecture Trail (9-10 September) will have a new brand feature that gives architecture a whole new focus at the Wirksworth Festival. Earlier this year a competition set architecture students the challenge designing a pavilion for the Festival that would ‘delight, be truly in context, able to be occupied and all built on a budget of £600. The winning design from Nottingham Trent University students Daniel Shefford, Daniel Liew, Christopher Bennett and Scott Pavitt will be constructed in timber and situated in the Community Square on Church Walk for one weekend only. The Pavilion will allow visitors to move between the busy streets and the tranquil church yard, rest awhile and admire artworks or simply enjoy the view.